The Jaguar F-Type looks fantastic, makes 575 hp if you get the SVR, and sounds incredible thanks to a fancy active exhaust system. So how do you make a car that already checks a lot of boxes on the “cool” list even cooler? You turn it into a rally car. Sadly, this particular rally car is one of only two built, and they probably won’t be used for any actual rally racing. But it’s still awesome. It’s also one heck of a way to generate coverage of the Chequered Flag Limited Edition that the rally car is loosely affiliated with. A rear-wheel-drive model with a 2.0-liter turbo-four was chosen to minimize weight and improve the car’s weight distribution. And since a convertible XK120 competed in a series of Alpine rallies in the 1950s, Jaguar decided to use convertible F-Types for the build. Even though this project was just for fun, Jaguar says it built its convertible rally cars to FIA spec. 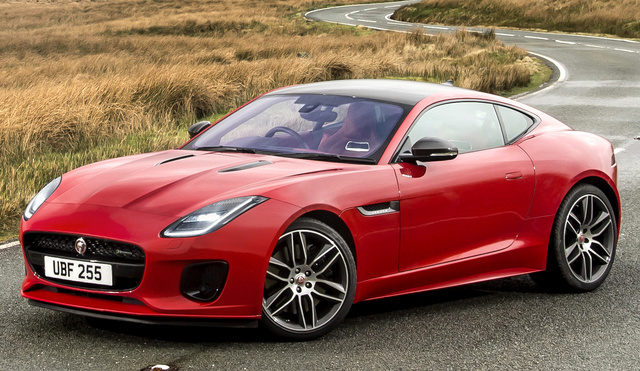 In the process, Jaguar gave its rally F-Type a full roll cage, ripped out most of the interior, and added auxiliary lights to the hood. It also looks like the car got a small lift to accommodate the new rally wheels and tires. The team then added racing seats with a six-point harness, a hydraulic handbrake, a limited-slip differential, upgraded brakes, and a rally suspension. The result? An F-Type that can jump. And in case the photos of the F-Type rally car jumping aren’t enough to convince you this is a cool car, Jaguar included a video that you can watch below. Jaguar says it also plans to bring the two cars to a few promotional events over the next few months, so you may even be able to see it in person.